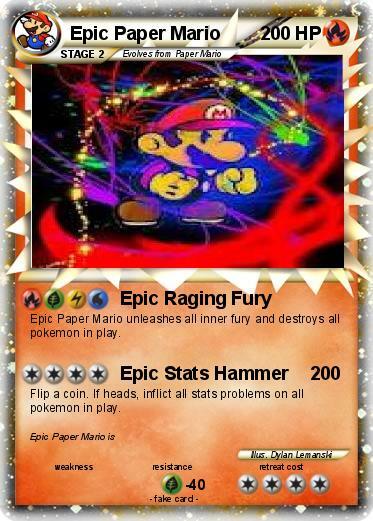 Epic Paper Mario unleashes all inner fury and destroys all pokemon in play. Flip a coin. If heads, inflict all stats problems on all pokemon in play.